How do you know when you’re truly inspired? Do you get wired? At BB4, that’s the sensation shooting through us when we hear the right song, see a fantastic film, or stroll by scintillating street art. Inspiring the production of new music is what we’re all about here, but we know that spirit moves the most when we recognize what moves us. That’s why we’re dedicating this post to calling out some movies and music that keep our own minds in motion. Here’s just a few of the artful acts that have warmed us, informed us, and driven us to create this creative space. 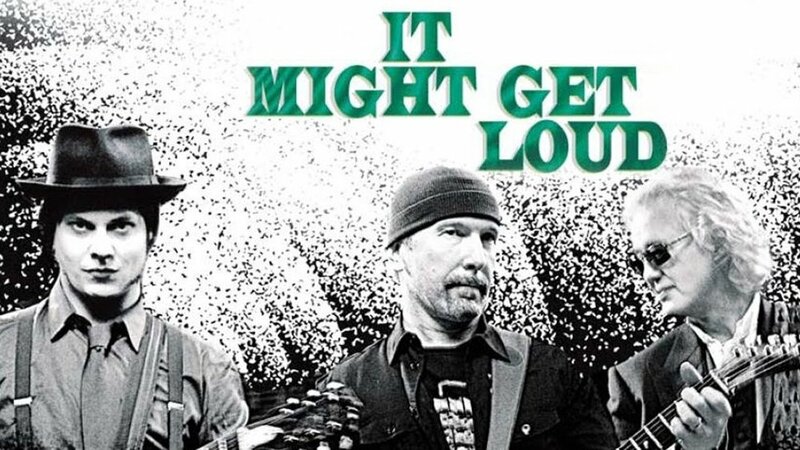 It Might Get Loud -- 2008 documentary film that explores the careers of guitar greats Jimmy Page, The Edge and Jack White. Rafael Planten: “My favorite part about this movie is when these three musical icons talk about their personal battles. It was amazing to hear about what helps them get ready to create, the preparation -- all the work that goes into their personal process and shaping their outlook. Rapture -- Netflix’ 2018 documentary series that shares the life stories of hip hop artists and examines their international impact. “Love Song” by Sara Bareilles -- Ironically, this song is about Bareilles’ frustration in not being able to write a track that would please her record label. It wound up being an international smash hit, peaking at #1 on a number of Billboard charts in 2008 in becoming a mainstay of pop radio playlists ever since. Rafael Planten: “I agree. Hearing a tune like ‘Love Song’ brings the human connection closer. A stranger speaks words, and you discover that you know them, and they know you. You get a powerful sense of experiencing something that you relate to, from the words or the emotion in their voice, which reveals them to be human too. “I remember RZA of Wu Tang Clan said, ‘Stress on the brain causes stomach pain and ulcers.’ YES. we all know that, but to hear something simple and real as that from him it’s like, ‘Word.’ I can grab onto that. “When we were designing BB4, we were going to make a window into the live room so that we could communicate with them visually from the control room, but we decided not to do it. I thought about how the artist needs to be vulnerable and go into their own place. They might not have gone there if people were watching. Seeking inspiration all your own? Join us for a session at BB4.